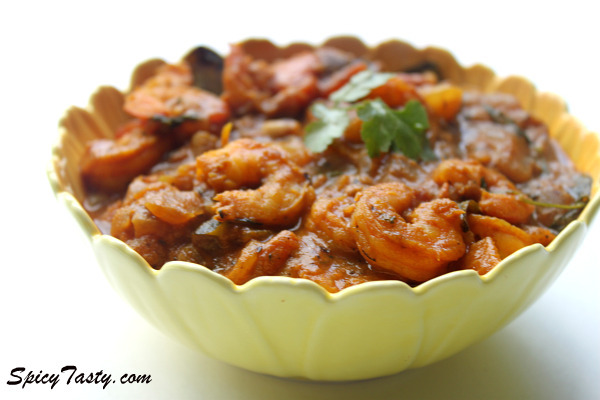 Shrimp or prawn curry is one of the most popular south India non-vegetarian dishes. I’ve learnt this recipe from my Mother-in-law. Her shrimp curry has to be the tastiest shrimp I’ve had. It goes very well chapathi, sambar rice and rasam. You can make this in different consistencies depending on your taste. You could make it as a gravy so it goes well with chapathi or naan or you could make it as a dry dish by leaving it in low heat for a long time. That’s how my husband likes it. 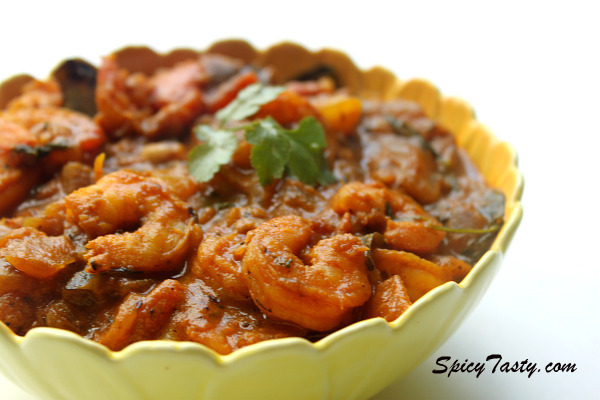 have fun cooking this spicy shrimp curry and let me know if you try this recipe. Heat Oil in a pan add cloves, cinnamon and bay leaves . Then add chopped onions fry them till it becomes golden brown. Now add the ginger & garlic paste, fry them for few more minutes till the raw smell goes off. Now add the chopped tomatoes and curry leaves, fry them for 3-4 minutes. Add salt, turmeric powder, red chili powder and coriander powder(you can also substitute sambar powder 2 tbsp instead of red chili and coriander powder). Fry them for 4-5 minutes in slow heat. Finally add the shrimp(deveined), coriander leaves and a cup of water. Cook them in slow heat till the shrimp gets fully cooked. You can adjust the thickness of the gravy by adjusting cooking time. 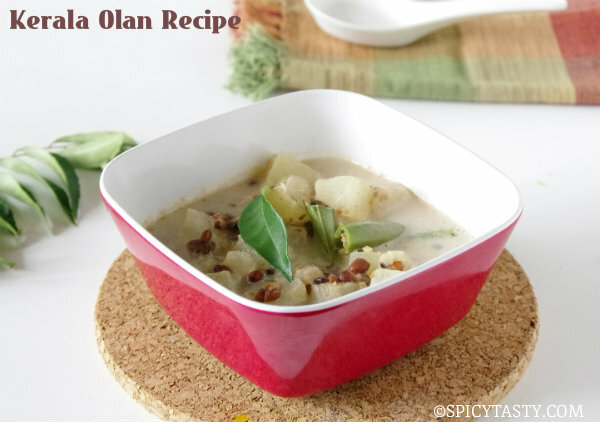 Once it’s done garnish with coriander leaves and remove from heat. Shrimp curry is red hot, nice one. Yummy curry…! Needless to mention, a lovely click…! Simply mouthwatering n spicy..Liked the bowl u served..
thats my type of dish. spicy tasty and flavourful. The prawns curry looks delicious… too mouth watering.. just loved the snap. Thanks ladies for your valuable comments..
That picture made my tummy start growling! Looks mouthwatering! I am a vegetarian but my husband likes shrimp. So i was searching for some recipe. I found this and made and it came out so well. My husband liked a lot.Shriya …thanks a lot. Thank you so much for so many wonderful recipes. 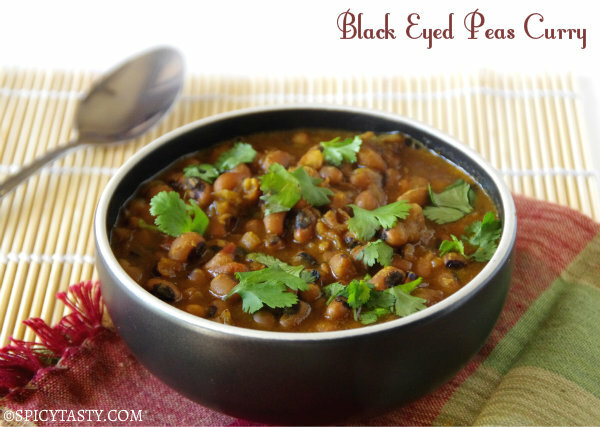 I’m going to try our your sambar saatham and paal kolukattai tonight. I just love your presentation and pictures…ur clicks are sooooo tempting… 🙂 Thank you and keep up the great work! Hi Mike, 1/4 tsp should be good.